Australian grass fed, preservative free, kangaroo, rabbit & beef and hormone free chicken. Order online anytime and we’ll deliver to your door. Free of perservatives, colours, chemical additives and fillers. Available through retail stores, farmers markets, factory direct. 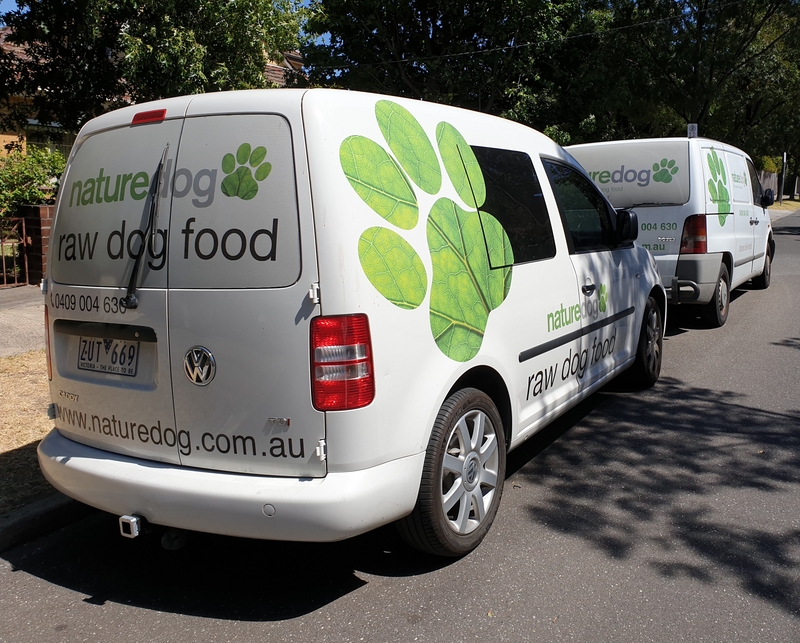 Check out the range of all natural raw dog food in our online store. We have products in these categories: Original Chicken, Original Plus, Allergy/Sensitive, Meat Free & Dairy Free. 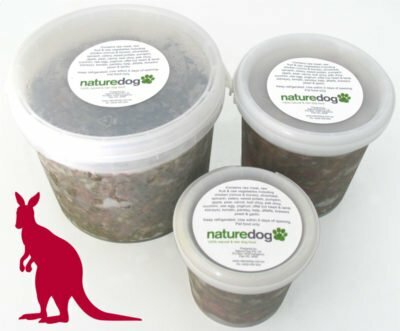 Nature Dog is a nutritious dog food that blends together fresh raw meat, meaty bones and fresh, raw seasonal vegetables and fruit. It also includes some delicious added extras such as offal, raw eggs, spirulina, alfalfa and kelp. 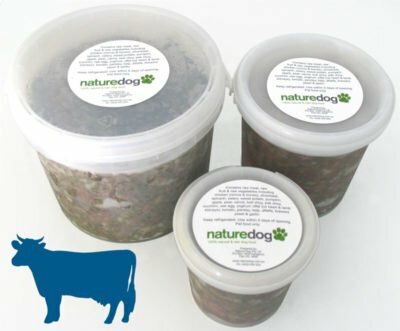 To create Nature Dog we mince the veggies as this allow the plant cell walls to break down and makes it nice and easy for your dog to digest. We add the already minced raw meat and raw bones and we then lovingly stir through all the added extras! A dog is an omnivore, that is, they eat food of both plant and animal origin, in a raw state. Before our dog was domesticated, it used to live a long and healthy life in the wild, roaming the land in search of food. The animals the dogs caught and ate were herbivores or vegetarians, so the stomach contents contained semi-digested plant material. Further, dogs or canines are unable to digest cellulose unless it is broken down into smaller pieces…ie the plant cell walls are broken. A raw food diet is what a dog’s digestive system is designed for.